Last July I wrote about my new found love for Alexa(article below - not sure if it’s love but, I do really like her still). It’s only rational that voice-control has moved into the A/V world. Since July, we’ve installed numerous Echo Dot-like-products that tie in with lighting control, thermostats, controlled door locks, security system, etc. Every week it seems there are more and more products out that are compatible and, more and more features being added. Other usual installations these days include video doorbell systems. You may be familiar with “Ring”, we’ve been selling the Ring product for about two years now and it’s a great product (for the most-part). 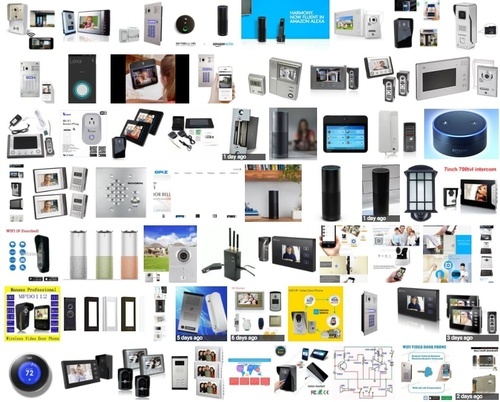 This past year there have been several manufacturer’s keeping up with their own versions, some to mention: Comelit, Doorbird, August, Skybell, Mobotix, and Hikvision. I’m anxious for one of these systems to integrate more fluidly with the surveillance systems we install so we can record locally instead of paying for cloud services. To date, my bet is Hikvision will be the first to release that product. They already have a version available overseas, and we (Wave Connects) now have some access and support to it here in the states but, it hasn’t been officially released to the public (if you’re interested please contact us for details). For an ending note and back to the foundation of most every dependable system, is network. If you’re thinking of upgrading your network, please know this is not typically a DIY area as it may seem it would/should be. We’ve had several customers call us after they attempt a network install to find out the wrong parts were purchased or things really don’t work as advertised. A call to us before may have saved some headache, we’re here to help!